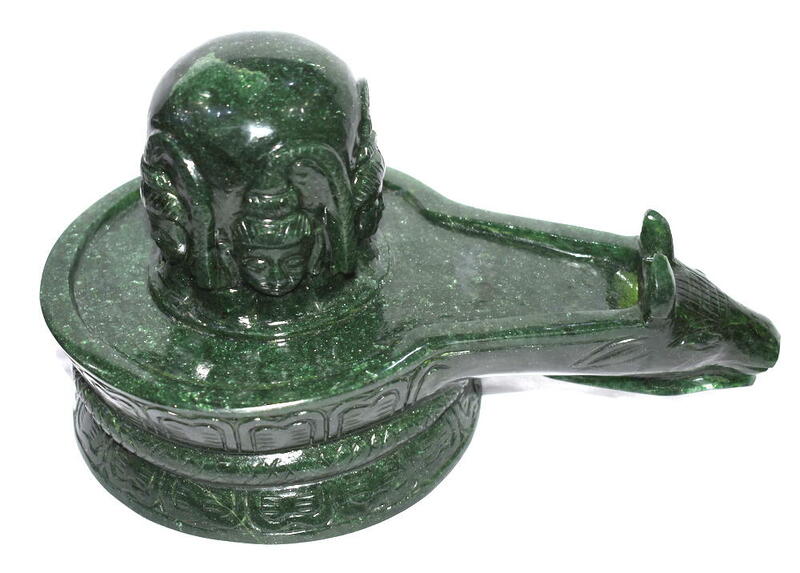 Auspicious Shivling is Carved in 100 % Pure Natural Green Jade . 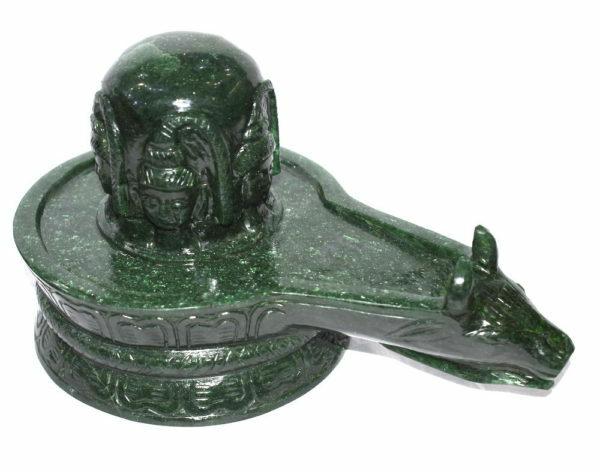 Design : Pashupatinath Shivling on a Nandi yoni base with snake curled round the Yoni , magnificently and very attractively designed hand work on Green Jade gemstone is considered highly auspicious and is said to have one of the highest frequency vibration rate. Blesses home with love, harmony and abundance. Shiva lingam connects a devotee with the Supreme Being Lord Shiva. 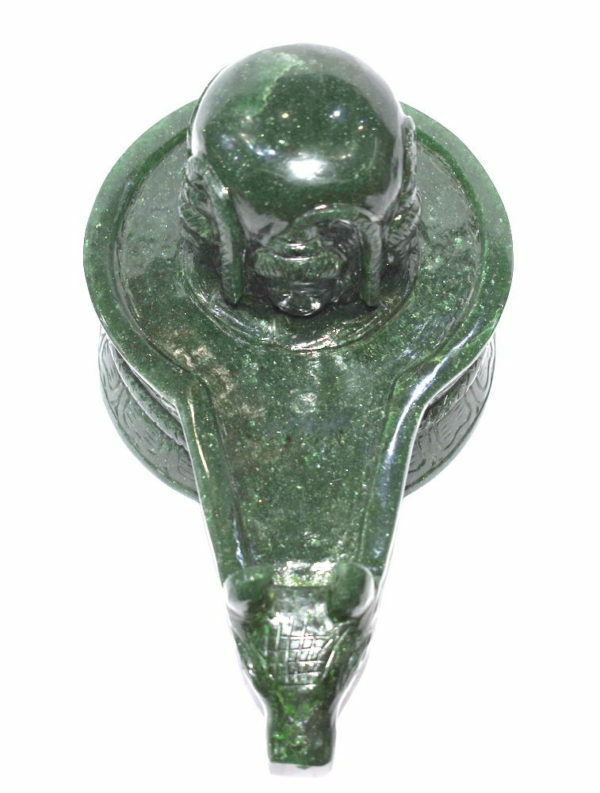 Pashupatinath Shivling made in 100% natural Green Jade gemstone with Nandimukha. Pashupatinath is an avatar of Shiva, one of the Trinity of the Hinduism and also the male manifestation as opposed to Shakti. 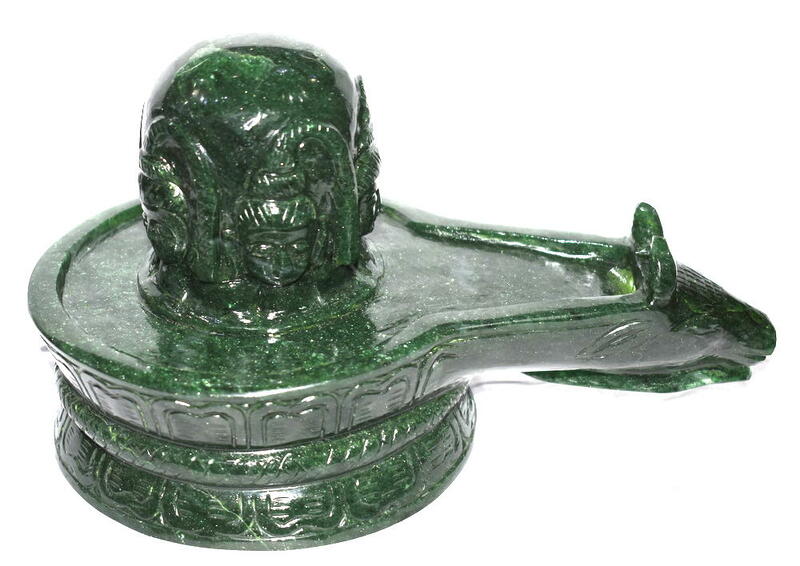 He is revered throughout the Hindu world especially in Nepal where he is regarded as the National God. He is considered as the protector of all the living organisms. 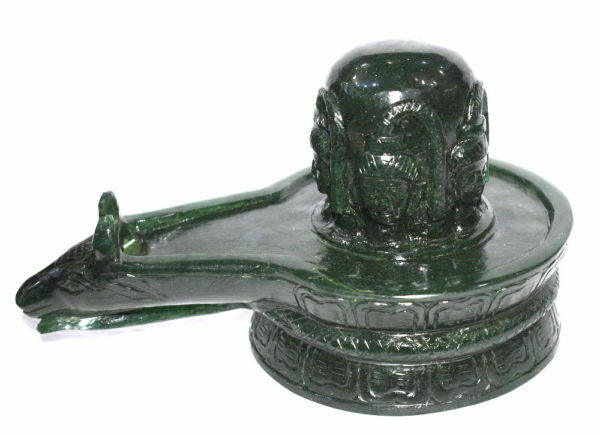 He is depicted with five faces. All these faces have different names and significance. 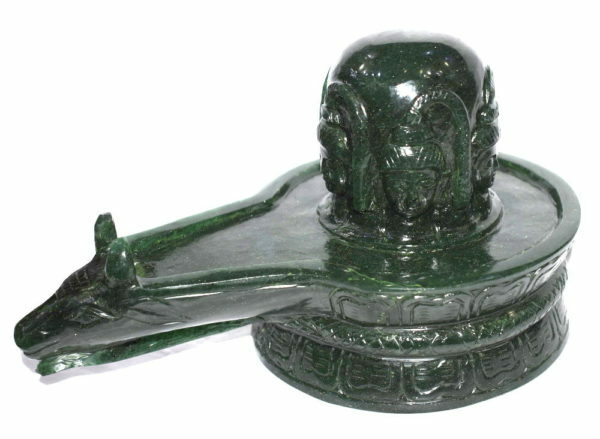 The face facing east is known as Tatpurusha and the one facing south as Aghora. Similarly, the faces looking west and north are known by the name Sadhyojata and Vamadeva respectively.